Tessa Ransford was born in India, educated in Scotland and lived all her adult life in Scotland apart from eight years working in Pakistan in the 1960s. She published many books of poems starting in the mid-seventies, the most recent being A Good Cause, from Luath Press, Edinburgh, 2015. Tessa led a busy working life as founder/director of the Scottish Poetry Library from when it opened in 1984 until after its establishment in new premises in 1999, as founder/organiser of the School of Poets poetry workshop (1981-99) and as editor of Lines Review poetry magazine from 1988 until its final issue, number 144 in 1998. Poems, essays and articles have been published in many magazines and anthologies and in translation. She continued to work as a freelance poetry adviser and practitioner, with special interest in relating poetry to those working creatively in other fields. Tessa was a fellow of The Royal Literary Fund (working since 2001 at the Centre for Human Ecology in Edinburgh and again - 2006-2008 - at Queen Margaret University). She set up the Callum Macdonald Memorial Award to encourage the publishing of poetry in pamphlets. It organizes an annual Christmas pamphlet fair with the support of the National Library of Scotland. She was president of International PEN, Scottish Centre, as from September 2003 to the end of 2006 and the commencement of its 80th anniversary year. Tessa died on the 2nd September 2015. 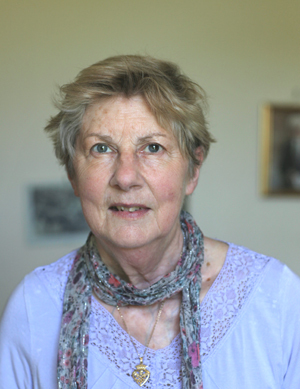 Conversations with Scottish Writers, No.3: Tessa Ransford. Shades of Green (poems on environmental themes selected from the sequence 'Shades of Green'). The Nightingale Question: five poets from Saxony, edited and translated by Tessa Ransford. 2010: Reviews of Not Just Moonshine appeared in Northwords Now and The Eildon Tree: PDF file with reviews of Not Just Moonshine. The Edinburgh Companion to Contemporary Scottish Literature. Edinburgh University Press. 2007. From: Christopher Whyte. 'Twenty-one Collections for the Twenty-first Century', p.79. ...Noteworthy Poems (2002) by Tessa Ransford cover the entire range of her career. Consistently illuminating postscripts highlight the rich interconnections between poetry, reading and experience. What Ransford says of 'Sacred City' is applicable to her work as a whole: ' The language is of declaration or statement. Others may disagree with the stance taken, but it is not presented as a debating point. It is taken without apology and is authoritative' (Ransford 2002:37). A poem in terzinas, a sestina , and an Alcaic ode carefully transmuted form the Greek with unobtrusive precision show Ransford' s lively interest in form, while 'A Poem About a Concrete Poem' embodies the vision which gave birth, after nearly two decades, to the outstanding building by Malcolm Fraser which now houses the Scottish Poetry Library. 'Not in a Garden' sets three agonies alongside one another, without sensationalism or any attempt at ranking: of the self-frustrating poet, of Christ, and of a Kurdish woman refugee. Unashamedly intellectual in its approach, Ransford's work acknowledges no limitations of gender and is about as far as one could get from conventional expectations of 'women's poetry'. That it should so far have found a limited circle of readers is a matter for speculation. This pamplet won Tessa a Society of Authors Travelling Scholarship 2001.